Kuldeep Yadav with his career best figures of 6/25 helped India win by 8 wickets. 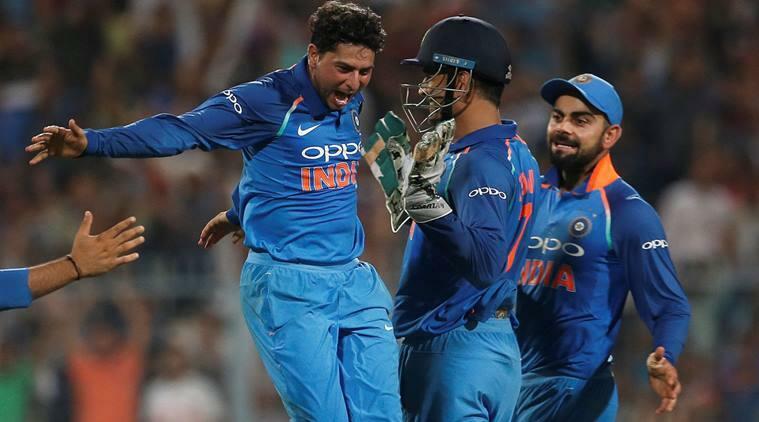 Kuldeep Yadav with his career best figures of 6/25 helped team India register a comfortable eight wicket victory over England in the first ODI at Nottingham. Virat Kohli, the skipper of India cricket team praised him for his remarkable performance in the frist ODI. Speaking in the post-match presentation, Kohli hinted that Kuldeep has a made strong case for selection in the Test squad,"Anything is possible with the selections for Tests and there might be a few surprises. Kuldeep is making a strong case for himself and so is Chahal. And looking at the way, the English batsmen have struggled against them, we might be tempted to do it. But the focus now is winning the next two games. Especially the next game looking at it from the series perspective," Kohli said. "Kuldeep was outstanding. To give away 25 runs and pick up 6 wickets on that kind of a wicket, I don't think I have seen a better spell of bowling in ODIs of late," he added. 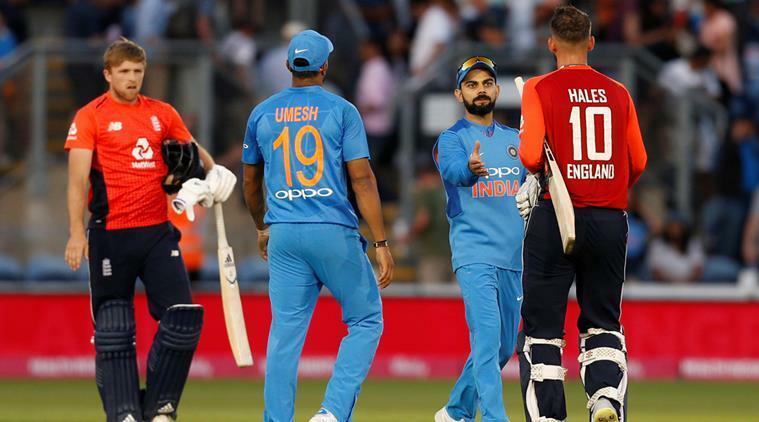 Virat Kohli also praised the performance of his team, saying the victory was as clinical and the two spinners, Kuldeep and Chahal were the key players of the match, "We knew it was a good wicket to play on. Those wrist spinners in the middle overs are going to be tricky. Given more overs and more time in the middle, they become even more lethal. When guys are not going hard at them, they have 10 overs and they know they have something to come back and have the skill to do it. "Rohit batting very long and finishing the game for us. We made a tactical decision (at Bristol to drop Kuldeep) looking at the dimensions of the ground and the breeze flowing into the shorter boundary. When it comes to the longer game, you need players to make an impact. These two wrist spinners have been making the difference since they have come in.They did it in South Africa in the middle overs. They remain as our key weapons." England skipper Eoin Morgan said that playing is the biggest challenge for his team, "Full credit to India as they completely outplayed us. Kuldeep had a very good day at the office. Playing spin against India is one challenge that hopefully we will keep improving upon. But today we were well off the mark. I think both the games there has been more turn than on the grounds that we have played on and that is one thing probably that we have identified. I think Lord's will be different as it won't offer a great deal of turn. "But certainly he (Kuldeep) extracted more turn out of this than any other spinner. We need to improve as a side. The seamers on this wicket come on to the bat on this wicket and hence the high scoring nature of the ground. We need to expose our areas of weakness before the World Cup and this seems to be one of them. And because it is a rare chance to be coming up against two wrist spinners. During the winter, we tour to West Indies and Sri Lanka and this will be good practice for those series," said Morgan.